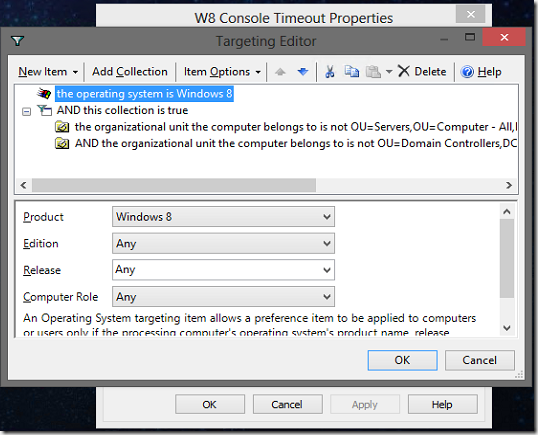 Technical Stuff – Windows 8 Console Lock Timeout | How Do I Computer? Since we have lots of computer labs at work, and people love seeing pretty pictures before they logon (here’s our current Windows 7 logon screen), I decided to investigate and find out if there was a way of prolonging this time. Now, we’re lucky enough to use System Center Config Manager 2012, which (as far as I can tell) when you enable Power Policies through it, creates a new power scheme called ‘db310065-829b-4671-9647-2261c00e86ef’ that doesn’t change. Therefore, my GPP registry entry includes this key. 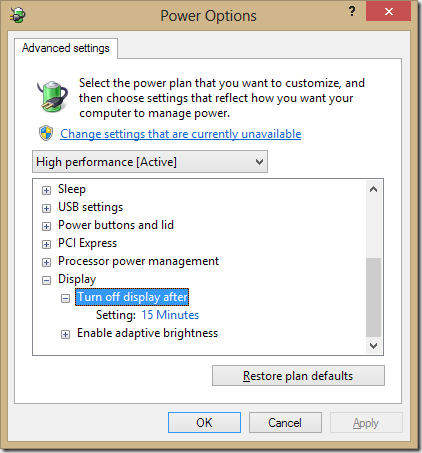 Obviously if you don’t have SCCM in your environment, you’ll want to sub in the active power scheme for your machines. 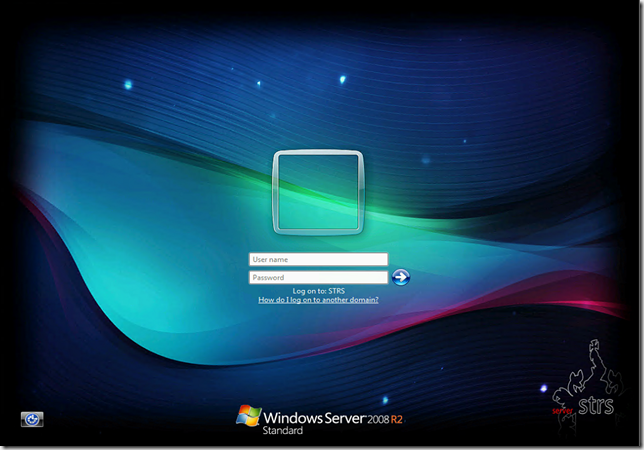 You’ll also notice that I’ve targeted this GPP to only Windows 8 machines. As this setting didn’t exist on Windows 7 and lower, there’s no need to clutter up their registry with meaningless keys. In our environment, I went one stage further with the targeting options, specifying that it didn’t apply to any of our computers within the ‘servers’ or DC groups.